Posted on April 14, 2019 by Theresa Gonzales Posted in Airway biology, People and society, Science	. Snoring is the act of breathing with a grunting sound while asleep. It is a major sleep disorder affecting nearly 100 million Americans and men and women around the world. It commonly results in obstructive sleep apnea (OSA) and possibly cardiovascular disease. Snoring is abnormal breathing characterized by grunting while sleeping (GWS). It is a disease of the respiratory system associated with loud/heavy breathing while sleeping. It is a common problem involving all ages and both sexes. 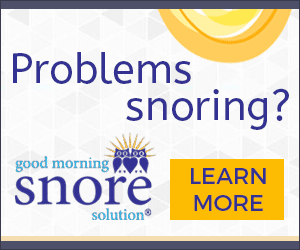 Snoring has a significant effect on roughly 90 million American individuals (of adult ages). Nearly half of these unfortunate individuals regularly display the symptoms and signs of snoring. it may take place at nighttime or irregularly depending on napping and sleeping times. Men tend to be most at risk, particularly those who are overweight (Body mass index >25). However, snoring is a concern for both men and women. Men may simply be more frequently affected. it typically tends to develop into a more severe illness with aging. It may be quite disruptive to the sleeping patterns in ill individuals and their bed-partners. It also affects those sleeping in the same room as the affected individual. It may result in fragmented sleep patterns. This may lead to inadequate daytime performances such as low energy and drowsiness. Typically, poor daytime function and cardiovascular disease are the 2 most frequent negative health outcomes associated with snoring. Obstructive Sleep apnea may develop in approximately 1/2 the populations who snore. What Causes Snoring and Obstructive Sleep Apnea? A number of factors often facilitate this process. Initially, just the fact of growing older may cause the throat muscles to relax during sleep, resulting in a grunting sound. Anatomically, there may be abnormalities of the nasal and throat areas (e.g., enlarged tonsils or adenoids, nasal polyps, or deviated nasal septum). These abnormalities may cause exaggerated narrowing of the throat during sleep, thus leading to this undesirable condition. Functional abnormalities such as throat and/or nasal inflammation may occur during infection of the respiratory system or during a llergy season. Sometimes (or in fact, often) sleeping positions, such as the supine position during sleep, may lead to this condition in some people. As a potent muscle relaxant, alcohol consumed in the evening may cause snoring. Similarly, Muscular relaxants ingested in the evening may possibly lead to or aggravate this condition in some individuals. Obesity is a significant risk factor, particularly the presence of a lot of fatty tissue around the neck. Watch the video: What Causes Snoring and Obstructive Sleep Apnea? Tags: abnormal breathing, sleep apnea, snoring	. Theresa on Multitasking or intermittent tasking?